But Netanyahu and Trump have simultaneously thrilled Christian Zionists and put stress on Jews by abandoning a "two state solution" to the Israeli-Palestinian conflict that envisioned side-by-side nations and going all-in on Israeli expansion. "You know who really likes it the most is the evangelicals," Trump said. "I'll tell you what, I get more calls of 'thank you' from evangelicals, and I see it in the audiences and everything else, than I do from Jewish people. And the Jewish people appreciate it, but the evangelicals appreciate it more than the Jews, which is incredible." "We're not another paper-shuffling, hand-clapping group of Christians who get struck up on joy once a year and go home and forget it," Hagee said in a recent interview available on YouTube. "We are 4.5 million people who are organized in every state, every city, every voting district." 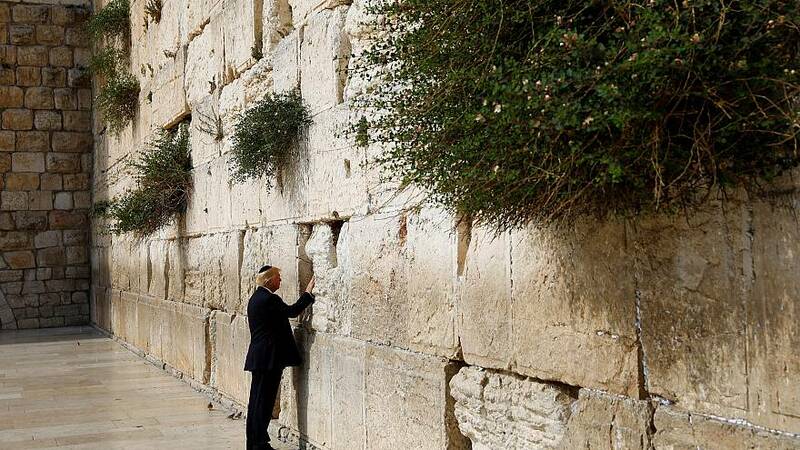 The hand of the Christian Zionists has become increasingly visible because of Trump's reliance on the their community and his periodic candor, according to people who study the issue closely. "The end goal isn't what's good for the Jewish community, the end goal is what's good for the second coming of Christ," said Robert P. Jones, CEO of the Public Religion Research Institute. "If you're purely thinking from a tactical point of view, you've got a bigger group in white evangelicals, and you've got a group that as a whole has a theological orientation that thinks that this is an important thing for their theological worldview." He and his allies have focused on Rep. Ilhan Omar, D-Minn., who has received broad condemnation for a series of remarks that were widely viewed as anti-Semitic. She apologized "unequivocally" for tweeting that U.S. support for Israel is "all about the Benjamins" — a suggestion that Jewish donors were driving American foreign policy — and later wondered why "it is okay for people to push for allegiance to a foreign country," raising a trope of dual loyalty for Israel and America among U.S. Jews. His critics point to other remarks — the time Trump once told Jewish Republicans they wouldn't support him because "I don't want your money," or when that he said there were "fine people on both sides" of a Charlottesville, Virginia, rally at which white nationalists chanted "Jews will not replace us." While they tend to vote on domestic issues, few matters are more divisive within American Jewish circles than Israel's borders. "Occupation has fractured the Jewish community in a lot of ways," Ruttenberg said. "We're definitely not monolithic about it." "The political or tactical payout is much more likely to come from — if you're thinking about votes — from the evangelical community than it is from the Jewish community," Jones said.